Join WalkUP Roslindale along with representatives from the Arnold Arboretum and path design consultant Horsley Witten Group for a site tour of the proposed Arboretum Gateway Path, focusing on the segment closest to Roslindale. 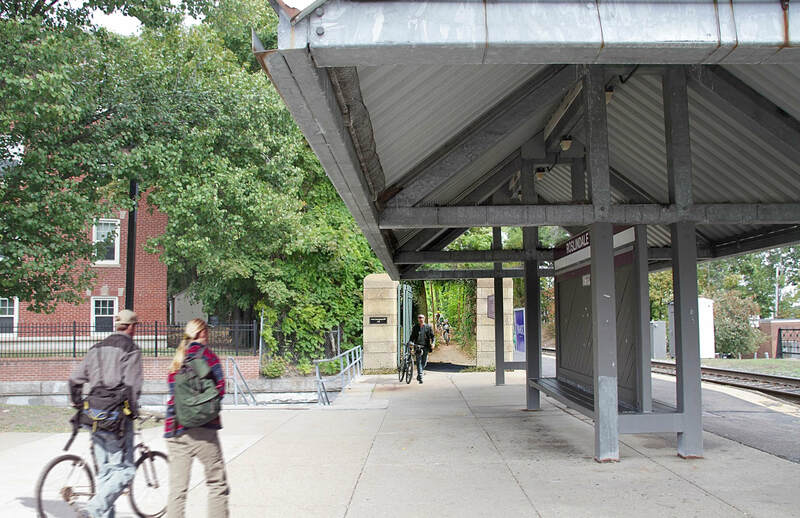 We’ll provide updates on progress for this initiative which will improve access to the park from Roslindale Square, as well as provide a better active transportation link between Roslindale and Forest Hills. We’re also eager to get your feedback on path design, including surface materials, lighting issues, and proposed routes. This will be an opportunity to meet fellow Roslindale residents who love to walk. And at present, the weather forecast is good! Meet at the Arnold Arboretum, Peters Hill at the Mendum Street Gate (corner intersection of Mendum and Fairview) at 10am, this Saturday, December 3. The event should run about an hour. RSVP so we can plan for the group size, and spread the word.